There is little doubt that science influences science fiction, but what about the cases when thing work the other way round? John Grunsfeld, astronaut and associate administrator for the NASA Science Mission directorate admitted that Science Fiction and especially the Star Was series has inspired a whole generation of scientists! 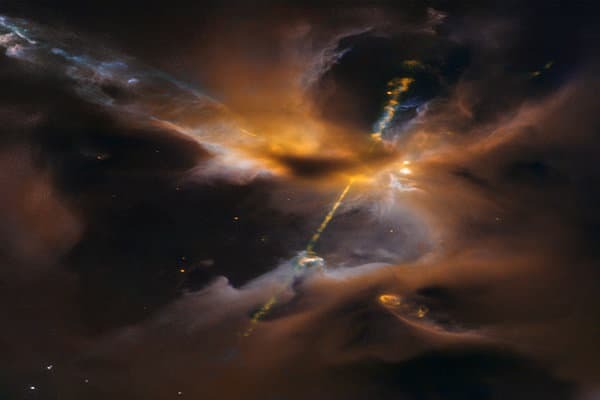 The Hubble Space Telescope has captured a high resolution image of a newborn star and what resembles a Lightsaber of the Star Wars fame. It is interesting to note that it is just days before the release of “Star Wars Episode VII: The Force Awakens”. The picture shows dense dust cloaked surroundings of a newborn star shooting two horizontal light jets from the centre. According to hubblesite.org, the authorized Hubble press release site, this scenario mimics the birth of universe and can be a referred to as a prototype for such occurrences. This image also portrays how the hot gas from the surrounding collapses into the protostar and swallows it. The whole material is superheated and expands outwards and opposite to the newborn star. This celestial delight did not come from any distant galaxy but rather in our very own home “Milky Way”, inside a turbulent birthing ground known as Orion B molecular cloud complex, located 1,350 light-years away. 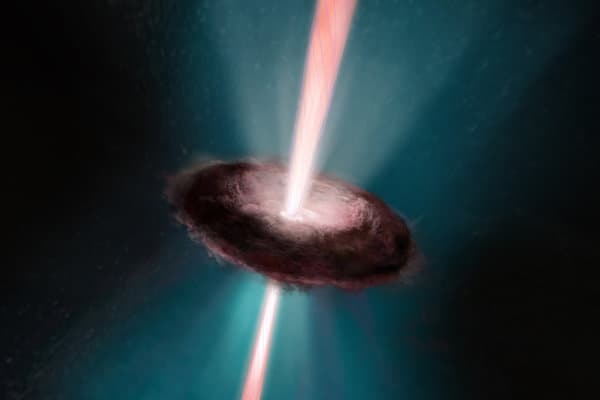 When stars are formed within the cool molecular hydrogen, some of the surrounding materials collapse due to gravity and take the shape of a disk encircling the newborn star. Later on, planets form from these and in its initial stages the protostar 'eats it up'. Shock waves develop in the process and heat the surrounding gas to up to a thousand degree Fahrenheit. The jets then collide with the surrounding disk and clear the vast spaces. The shock waves clump together to form a nebula structure known as Herbig-Haro (HH) structures. NASA confirmed that very little such HH objects have been spotted in visible light and a similar number have been observed in the infrared. Hubble’s image capturing technique used infrared light which helped to detect HH objects covered by gas and dust. These stellar jets are suitable targets for NASA’s upcoming James Webb Space Telescope, which will use higher infrared wavelength vision to detect HH objects with enhanced accuracy.